Mike started emc design in 1990, initially as a freelancer, and has since grown the company into a very capable team of designers and production support staff. 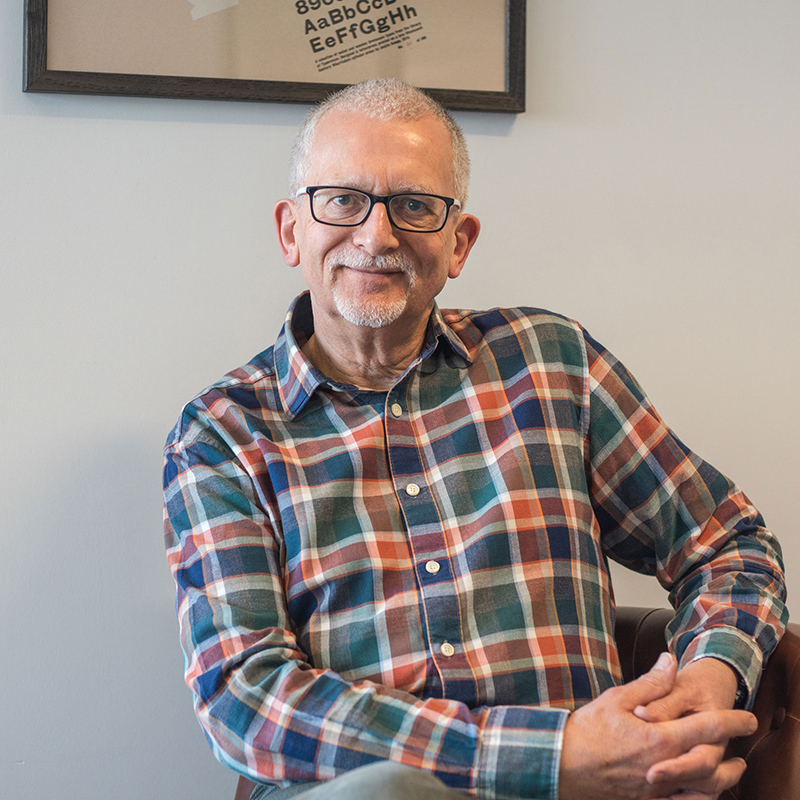 Mike is increasingly focused on client relationships and the more strategic issues of the expanding business, leaving (sometimes reluctantly!) the day-to-day management to Sophie, John and the management team. In his spare time, he enjoys cooking (and eating), drinking and learning about wine and entertaining friends. He has an eclectic and wide taste in music and enjoys watercolour painting, drawing and photography. Mike also takes full responsibility for emc’s expensive coffee infatuation!